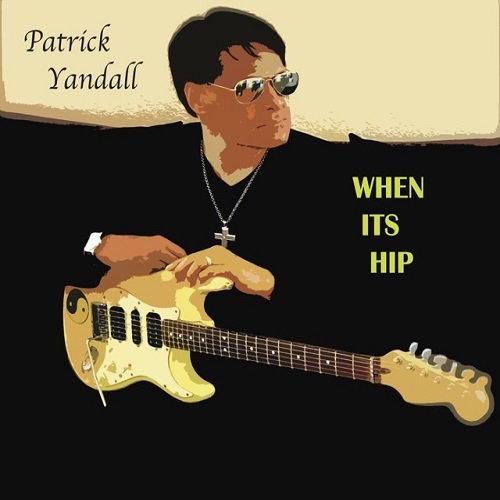 To classify Patrick Yandall as a smooth jazz guitarist would not do justice to his stylistic spectrum. Smooth jazz, contemporary jazz, blues, rock, every genre is a facet of his musical personality. Patrick’s new album When Its Hip has exactly these edges that make up the whole Yandall package. Patrick performs all instruments on the new album. With the exception of three covers he has written all songs. The album is launched with the title song. While the lead guitar is focused on chords offers the main part variations of trumpet, bass and guitar underlined by synth strings. King James is somewhat harder due to the use of distortion effects. Even a short piano solo is included. B Boy is called a break-dancer, who follows the athletic path of street dancing. Piano and guitar alternate in the presentation of the main motif. Most friends of smooth jazz will know Who’s That Lady through guitarist Peter White, who helped the 1973 Isley Bothers song to new fame. Unlike Peter White, Patrick lets the wildness of the guitar shine in its untamed form.